MyPhone recently added new smartphone on its Agua line up, the Myphone Agua Iceberg Slim. Packed with a 4.7-inch display in an aluminum body that powered by a quad-core processor clocked at 1.3GHz, complemented with 1GB of RAM and 4GB internal storage. 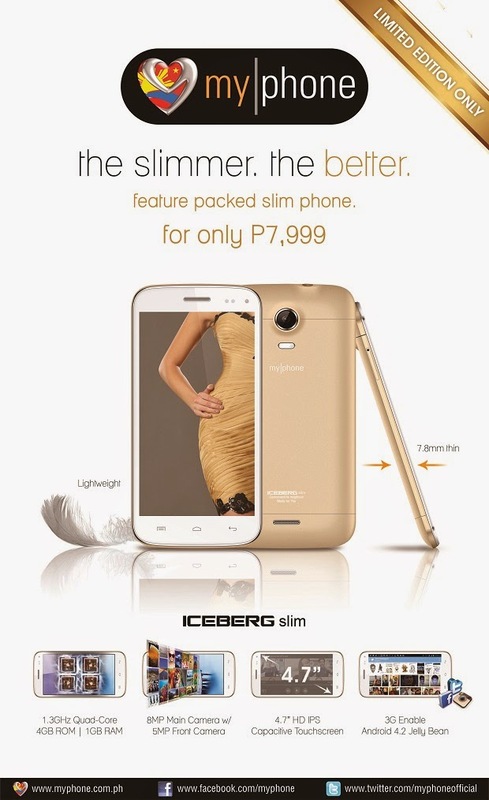 The Iceberg Slim is a Limited Edition phone with price tag of Php7,999.